Is “treatment” a bad word when it comes to gemstones? Prior to researching this treatise, I thought that I should watch out for treated stones. I was ignorant of the reasons that we need some treatment of certain gemstones. Let me tell you a bit of what I’ve learned. There are at least two positives pertaining to the treatment of gemstones. First, we know that it is rare indeed for nature to produce the perfect gemstone. Most have some flaws that would render them unusable by designers. Man can treat many of these and help them show their beauty. I laughingly think of a woman who dyes her hair as an analogy for this situation. Few of us have that perfect hair color and may seek a little “treatment” to improve natural beauty. Affordability is another reason we can think positively about the appropriate treatment of gemstones. We’ve all been exposed to the concept of supply and demand. Here in Texas the wonderful citrus fruit that comes from the valley spikes in price when the growing area has experienced nasty weather such as an ill timed freeze or a nasty hail storm. As you know, just like the citrus fruit, when an item is scarce, its price is higher. Think about those gemstones you just purchased. Were they readily available to you or did you have a difficult time finding the stones? Did there seem to be a relationship between the price you paid and the availability of the gemstones? The appropriate treatments for gemstones can provide considerable more product than nature alone, thus helping those gems remain affordable. Lest I appear to be a Pollyanna regarding gemstone treatment, consider the affordability information from a different perspective. Knowing that the treated gemstones can be less expensive, we must realize they may be less valuable. A beautiful, rare, untreated gem should retain its value. The value of those that have been treated may change if new, different types of treatments which do a better job become available. It seems to me that consumers should think carefully why they are purchasing gemstones. Is the purchase an investment or are the gemstones mainly for wearing with this year’s outfit? Even though gemstone treatments may provide some benefits, all treatments are not created equal. An educated designer makes a better gemstone consumer and a basic understanding of treatments will definitely enhance our knowledge. Information follows about some of the types of treatment. 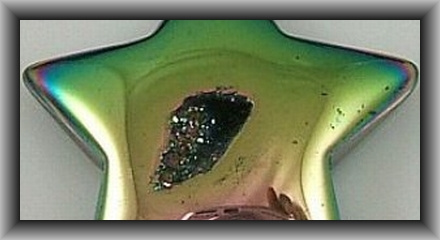 Heat treatment, the most common method used, can result in a lighter or darker colored gemstone. It may also cause the stone to completely change color. Heat can also be used to brighten and help clarify the stones. The early Romans heat treated corundum, rubies and sapphires, attempting to recreate the natural environment that produced the stones and allow them to complete the metamorphosis that nature began. This makes me think of how an incubator sometimes helps living things continue their development. 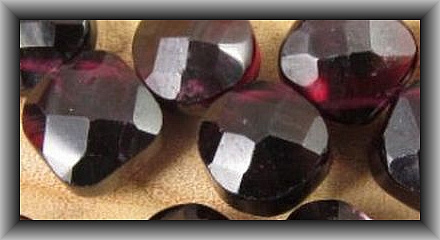 Let’s consider a specific example of an appropriate heat treatment for gemstones. This is described by the International Gem Society (http://www.gemsociety.org/info/igem7.htm). Aquamarine, like corundum, is heated to mimic the natural process. The mined stone has a green tint which when heated produces a lovely blue color. The heat treatment of selected gemstones is accepted among gemologists and if often almost impossible to detect. Therefore, in the past little has been said to customers about the process. Now, however, when full disclosure is becoming more important to consumers, we often hear the phrase “probably heat treated” since the vendor may not be able to tell how the stone was handled. It is possible it happened naturally in nature as well so sometimes it is hard to say whether man did it or not. You don’t need to be concerned about your health working with gemstones that have been given this treatment. The International Gem Society assures us that irradiation, like heating, replicates what occurs in nature. I’m breathing a sigh of relief as I realize that many gemstones encounter radioactive elements while they are being formed; yet, this doesn’t make them radioactive. I believe that over the centuries that people have worn gemstones, we would know by now if they threatened our health. To the contrary, some feel that there are health benefits to wearing these gemstones. Some gemstones are very porous and can be made more durable when impregnated with a colorless agent. This agent might be paraffin, oil, a colorless wax, quartz or something else. Emeralds are often “oiled” as are some types of opals and turquoise. Various surface enhancements on gemstones such as enameling, foiling and lacquering fall into the treatment category of coating. Materials for coating include wax, plastic, paints, resins, etc. 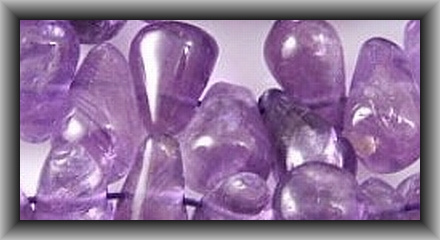 The process is used for providing color or improving the appearance of a gemstone. This treatment should be disclosed to you at the point of sale and you might want to be aware of breaks in the coating which may be indicative that the coating will come off easily. I once received a necklace that the customer wanted reworked. Before I could even get it apart, the lovely turquoise color on the nuggets began to peel off and I was left with a rather ugly bunch of stones of unknown origin. I believe that if you design with and sell a piece using a coated gemstone, you, too, should disclose the treatment to your customer. There are also quality levels in coating. Titanium infused impregnates the titanium into the stone and it won't chip off whereas a soft porous stone rolled in a layer of clay to look like turquoise will be all chipped off once it gets in contact with moisture. As with everything there is levels of quality even in coatings! Think of painting your car with house paint or by a professional auto-body shop. Kind of the same thing. Dyeing is just what we would expect and involves the introduction of a colored substance into the gemstone to alter its color. Dyeing is often combined with other treatments. There is good dye and not so good dye. Even a dyed gemstone can cost more if the process was done over time and high quality products were used. A quick bath in a water based dye so the bead looks pretty and will sell is the least desirable. That will come off all over your neck pretty quickly. Now dye that has been impregnated into the stone under heat and pressure over extended periods of time (sometimes months) and is an oil based with resin is a permanent dye. I have a strand of dyed stabilized turquoise nuggets I have left outside for 4 years in the sun to see what would happen and they are a bit rough looking but the color is still the same as when I put them out. You get what you pay for also applies to dyed stones. 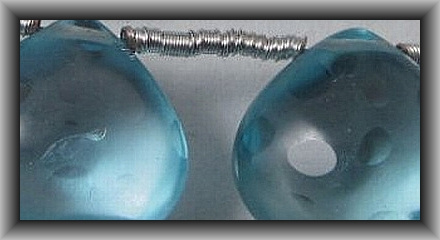 Stabilizing is a process to make a stone hard enough to manufacture into a bead. There are many different methods of stabilizing. Many processes use a resin base that is forced into the stone under pressure. This makes the softer material hard enough to be cut, drilled, polished, and made into jewelry. 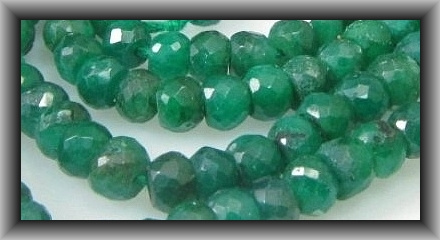 Some stones such as turquoise will change color if they are not stabilized. The exception to this is very hard turquoise which will hold its color without being stabilized and is mainly found in the cabochon form. Common stones that are stabilized are turquoise, chrysocolla, magnesite, and lapis lazuli to name a few. There may be other treatments, but those provided herein are the basics. These have previously seemed a bit confusing to me when I’m in the throes of purchasing gemstones. As a designer, I’m not only thinking of the design, but also the color, size and shape my customers will want. Then there’s that question of value and price. Now, I’m supposed to also think about treatment. I guess I’d better do my homework before I set out to make that purchase. If I consider the parameters within which I design, will I be OK if the stones are heat treated? Will my customers understand that irradiation is appropriate on the stones I’ve sold to them? I’m easily swayed by the words of the gemstone vendors, yet it’s possible that some of them actually know less than I do about the treatment of stones. Once again, I realize that I need to purchase my stones from knowledgeable vendors that I trust. Those with whom I have a good track record will continue to get my business. Now, however, I’m going to ask a few more questions before I buy. Disclaimer: Treatments listed with products are accurate to the best of our knowledge and are subject to change. Please use this as an informative guide only. * Now I think I can answer that question I posed at the beginning of this article. Is “treatment” a bad word when it comes to gemstones? The answer involves knowing the stone, knowing the treatment and knowing the vendor. The answer is “sometimes”. **Contributing authors are noted and linked to in the articles they wrote. All articles are copyright. You can reprint these articles as long as the original author is sited and a link to their site and this website is included. The name Magpie Gemstones must be used as the hypertext.